I knew it! 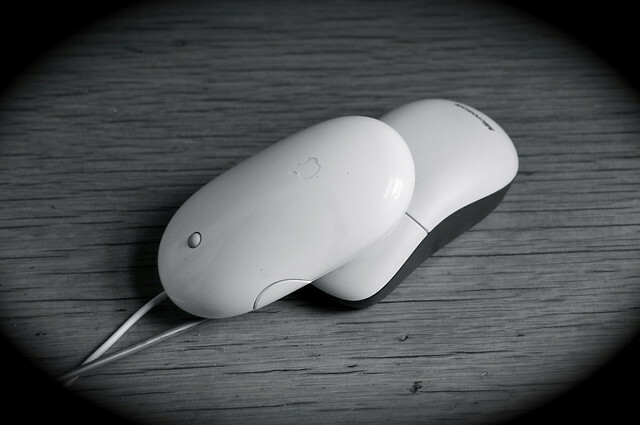 I start using the iPad, and while I am not looking the mice from my Mac and the old PC are getting it on. In the not too distant past, this sort of interracial fraternization would have been totally taboo if not outright illegal. But times are changing. For the under-30 demographic, there is a 'who cares' attitude concerning Macs and PCs. As long as everyone consents, what difference does it make if your operating system is Windows or OS X? Heck, these days some Macs have Intel processors, right?